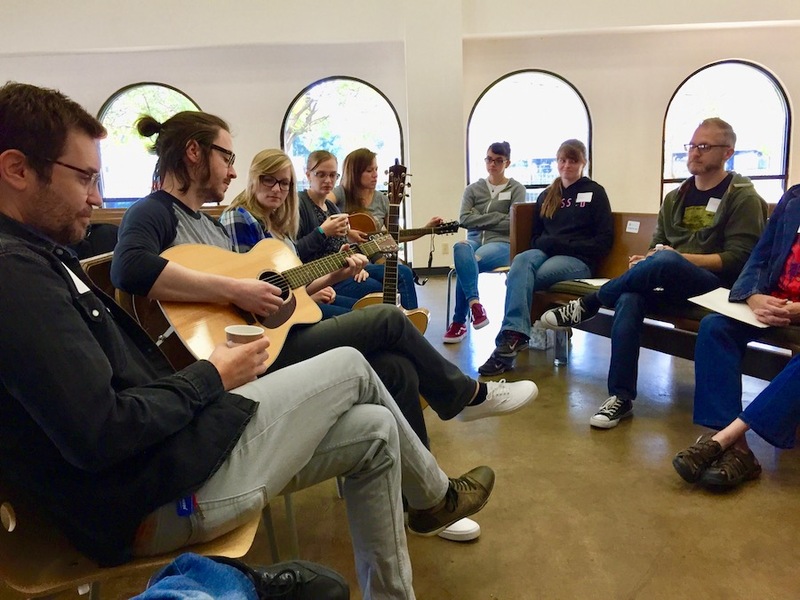 In August 2017 seventeen songwriters gathered at All Saints Dallas for a liturgical songwriting retreat, a set-apart time of writing songs for the church. I hosted the retreat and directed our writing towards the mini-season of Allhallowtide, tackling themes of martyrdom, sainthood, death, and hope. We wrote twenty-five songs in twenty-four hours! Some of them are good—really good—and that’s great, but that was not our primary reason for gathering. Our main goal was to actually write songs, which can be a difficult thing to do in today’s frenetic world. My hope is that each songwriter walked away encouraged and inspired to continue writing. August’s retreat was my eighth in three years with United Adoration, a ministry that organizes liturgical songwriting retreats and resources the church with freshly written songs. I am a UA lead team member. Since September 2014 we have hosted fifteen retreats that have produced about 200 songs. More than that, deep healing is taking place at these retreats. Creative vocations are being confirmed. Dormant gifts are being revived. Discipline is being formed. Personally, the ministry of United Adoration has shaped and refined my songwriting practices and has given me a more hopeful vision for church music. My approach to writing church music comes from the ground up rather than the top down, from the byway instead of the highway. I am a non-musically-educated practitioner. I have learned mostly by watching, listening, and imitating a variety of leaders throughout my life, from Pentecostal music ministers to Catholic choir directors—traditional, contemporary, and everything between. I offer these best songwriting practices as one who loves the holy church, who believes in the need for new songs, and who for twenty years has been committed to the vocation of writing songs for the church. 1. “Purify the soul.” Most people could not articulate what makes a good song good, but they can feel it. Some songs come from the soul and connect the soul to other souls and to God. They are “in the bones” of a people and a place, enabling something beautiful and true to take residence deep down. These are good songs, and they come from a place of purity. By “purify the soul” I don’t think Arvo Pärt (quoted above) is referring to behavior so much as uninhibited connectedness to God, self, and others through prayer. Same with St. Paul. Good songs come from hearts that are animated by the Spirit and connected to God, self, and others through constant prayer. I’ll save “best praying practices” for the next guy. 2. Make space to actually write. The greatest obstacle for songwriters is not lack of inspiration, or even lack of time, but lack of vocational vision. I keep using the word vocation because songwriting is a calling, and those who have been called ought to take seriously the cultivation of their gift. If we have truly been called, then the people in our lives need our songs. For us songwriting is not merely recreational. It’s liturgical! Make space in your heart for your songwriting vocation. Time is the next biggest hurdle. Unless we create space in our busy lives to actually write, we won’t write. Put it on the calendar. I write every Monday. Set a goal. I aim to write one song a week. Annually, I attend a songwriting camp in Nashville, lead two or three United Adoration songwriting retreats, and help facilitate three songwriters feedback gatherings for Art House Dallas. 3. Collaborate. February 2015 birthed a surprising partnership that has made me a better songwriter. That’s when I met Fr. Nelson Koscheski, a retired priest and a budding poet. I began writing tunes for his poems. After a few months and half a dozen new hymns, I realized I am primarily a melodist, and that it’s perfectly okay to rely on others for lyrics. It’s historical, too. The idea of one person writing both tune and words is actually quite modern. A songwriter is usually stronger at one or the other. Not only has my partnership with Nelson clarified this for me, but it has also opened my eyes to the possibilities of intergenerational collaboration. Nelson can’t be the only seventy-five year old sitting on such a beautiful gift. I wonder what a simple call to poets and composers of all ages would yield in our churches. To date Nelson and I have co-written thirty-five songs. 5. Expand your box. We all live inside a box, and we can’t think outside of it until we acknowledge it. In other words, we all inhabit a place filled with people who need us and whom we need. The goal, then, isn’t to escape from our box, but rather to expand it. Serve your people where they are, but don’t be afraid to let in a little light from the vast world of music outside your own. White churches can sing black spirituals. Black churches can sing Chris Tomlin songs. Asian and Hispanic churches can write their own songs in their own indigenous styles instead of singing awkwardly translated English songs. Two years ago I wrote a song with a black friend in response to the Charleston massacre. The only way I can describe it is mixed-gospel-psychedelic funk. And my mostly white church loves singing it. Last year I led a United Adoration songwriting retreat in San Diego with ten Spanish-speaking Anglicans drawing mainly from the Chilean Book of Common Prayer. Finally, as Christian songwriters we have a tendency to think that music is a neutral vehicle for words. We need to dethrone this myth and begin to fund an imagination for music that engages the whole person, not just the mind, music that is beautiful, good, and true in itself. Put your ear to the ground and listen for that sound. Aim for your songs to engage the people in your community who are closest to the ground, who live the most down-to-earth lives. It’s usually the children and retired folks. Then digest and regurgitate the words your community needs, applying sounds appropriately. At least that’s what I try to do. Over the past four years my own songwriting has evolved into what I call liturgical folk—a blend of Celtic mystic, American folk, and Southern gothic with historic Christian prayers, Texas Panhandle poetry, and social consciousness. The mission of liturgical folk is to make beautiful and believable sacred music for the sake of the world. I believe the church can once again be a credible artistic witness to the world, even to the degree that non-Christians will want to listen to our songs. There’s an old song yet to be written, and the church needs to write it and sing it for the world to hear it. 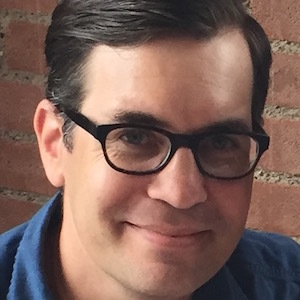 Ryan serves as the music director at All Saints Dallas in Texas. He is the founder of Liturgical Folk and is one of United Adoraton’s senior leaders.